In a recent post on speech recognition we took a look at SpeakingPal’s English Tutor mobile learning application. Here is a brief overview of the company, talking with Dr Shaunie Shammass, VP Linguistic Innovation. 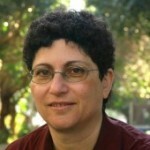 As a trained phonetician, she was previously involved in the development of linguistic resources for Automatic Speech Recognition (ASR) and ASR-based e-learning applications. 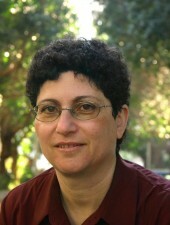 She is responsible for content development and pedagogical innovation. 2. What was the opportunity you were responding to with SpeakingPal? What drove you to create it? Let’s say that you were not born in an English-speaking country. You may be able to read English, the international language. You may even be able to write it. But the second you open your mouth, you are not well understood by others. For millions of people around the globe, the English speaking skill is the most needed, and yet the most difficult to master or improve. Often there is a real shortage of phonetics or English pronunciation teachers available, or even a dearth of native English speakers. And even if you are in an English oral proficiency classroom with a trained teacher, you may be embarrassed to speak up, or the lesson drills can be so dry and repetitive and boring that you wish you weren’t there in the first place. Besides, the teacher cannot possibly hear you and give feedback on every utterance, much less each word, right? So, how can you get the necessary practice and feedback that you need? Can high-tech help? In which way? As a phonetician that was involved in creating linguistic resources for automatic speech recognition (ASR) and e-learning applications, this seemed like a project that was just up my alley. So, when the founders of SpeakingPal, serial entrepreneur Eyal Eshed and mobile wizard Ariel Velikovsky, came and asked me to join the team, it was a no-brainer. This was a product that seemed to tie up everything I’d ever done in one fell swoop, and allow me to rev up my creative juices to boot. It provided the challenge to create a new kind of ELT content with mobile technology in mind from the outset, and see if something could be made that really addressed this pressing global need in a more innovative and unconventional way. 3. How effective do you think the combination of language learning and gamification is? Why do you think learners respond to it? Who doesn’t like to play games? And if this is leveraged with real learning, all the better. After all, a child learning his/her native language plays with the language a lot before actually acquiring it. Making learning a natural, fun and engaging experience raises motivation, “stick-to-itness”, and the willingness to actually do the review and practice that is necessary to improve. Learners respond to gamification because it makes learning fun and interactive. You get immediate response and immediate attention. This is the way of the new learners – immediacy, cool, fun, customized and yes, it’s ‘all about me – as a learner’. Why did you choose those five? I believe that as the world goes mobile/BYOD, technological innovation needs to be guided by what is really needed in the marketplace and produce self-learning or blended solutions that can be easily adopted as well as remain ‘sticky’ for end users. Innovation is crucial for creating the wow-effect that is necessary to attract and maintain users in their learning effort. It is not enough to simply create a product with good content. Content and technology must merge to form a new type of lesson that is used because users enjoy learning, and not because they are required to do top-down driven lessons that provides little or no motivation – in other words, instil learning for learning’s sake for modern learners who are mobile savvy and trend-driven. 5. SpeakingPal has free units with in-app purchase for more content. Why did you decide to use this model? SpeakingPal uses a freemium model that allows several units of each of our packages to be available for free, including full automatic speech recognition feedback services for a full year. If users like what they see, they can get access to the rest of our content along with this unlimited automatic feedback. We went with the freemium model because even though we would like to give out lessons for free, we are a commercial venture and need to make money as well. I think that people understand the value of a good product that is not only content based but provides instant feedback services on the pronunciation of every word and utterance, something that even a human teacher or tutor could never do. 6. What do you think is next for you and SpeakingPal? Where do you think you’ll go next in terms of EdTech? We would like to expand our offering to include ASR feedback services and ELT content for younger ages and more beginner learners. The challenge is to make the ASR work effectively for younger voices, tweak beginner content so that it complies with ASR limitations, and yet still deliver the same interactive and stimulating user-experience that our higher level lessons create. SpeakingPal is also looking forward to porting existing content onto our platform using 3rd party content originally made for books or online, and creatively transform the experience into a more mobile-centric solution. On a personal level, I’m happy as a lark thinking of how to make the next innovation in EdTech. What more could a high-tech linguist ask for?